I was asked to make a baby shower cake for my daughters P1 teacher and I was so excited to do it. 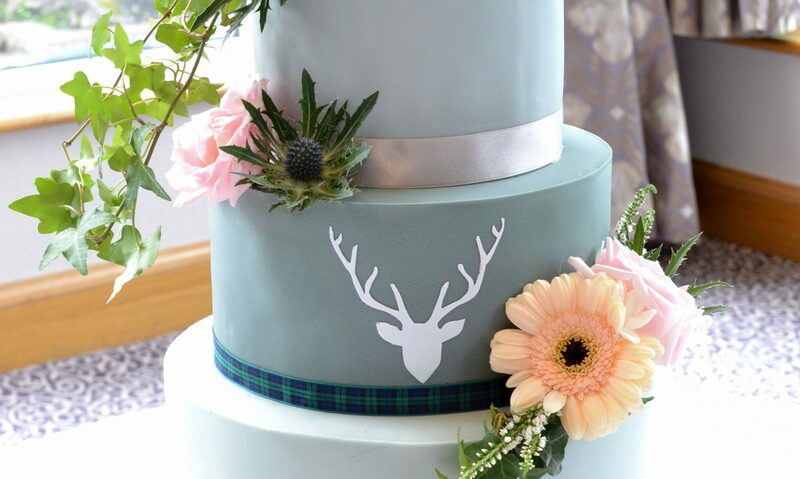 I have a special place in my heart for Mrs Hossack, so I knew her cake had to be one of a kind! Truth be told, when I first learned that Mrs Hossack was having a baby my initial thought was ‘Oh my gosh, who’s going to teach my little boy when it’s his turn?’ And then I quickly realised that the gestational period of a woman is not the same an elephant, although it surely feels like that sometimes! I really didn’t need to worry about how my daughter would get along. She adored her teacher as did I, and Mrs Hossack is going to be an incredible mum. That’s one thing I’m absolutely sure of. To make the rain cloud I rolled out some florist paste about 1/4″ thick. I made a double barrel 6inch cake so I cut my cloud about 4 inches across. I just cut the cloud out freehand. I used 2 cake pop sticks on either side of the cloud and used a bit of edible glue to adhere to the cloud. I pushed the sticks into the cloud a bit as well. I then cut a couple of strips of paste and again used edible glue to secure the pieces of sugar paste to the cloud. I chose a 24 gauge white wire where I would attach the ‘rain’. I cut the wires short enough that I wouldn’t have to insert them into the cake. I cut all 4 wires roughly the same size and then secured them to the cloud in the same way I did the sticks. Leave the cloud to dry preferably overnight. I cut out the silhouette with gumpaste but if I were to do it again, I might have just painted it directly onto the cake or made my paste a little thinner. I found a silhouette on a baby shower invitation on Pinterest and just traced it onto grease proof paper. Once the rain cloud is dry place it into the cake and push down lightly. I used a tiny heart plunger cutter and cut out yellow and grey hearts. Using edible glue, I attached the hearts randomly along the wires. I outlined the cloud with some black dye to make it pop and painted the silhouette as well. Gorgeous cake, and tasted divine.